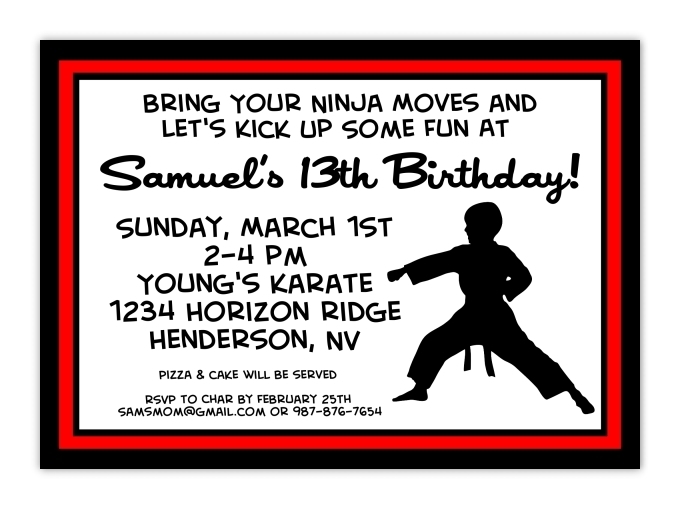 Looking for affordable, custom karate birthday invitations? Then you'll love these! We love postcard invitations! They cost less that full-size invitations and cost you less in postage! And we print on beautiful, high quality card stock with a gloss finish. 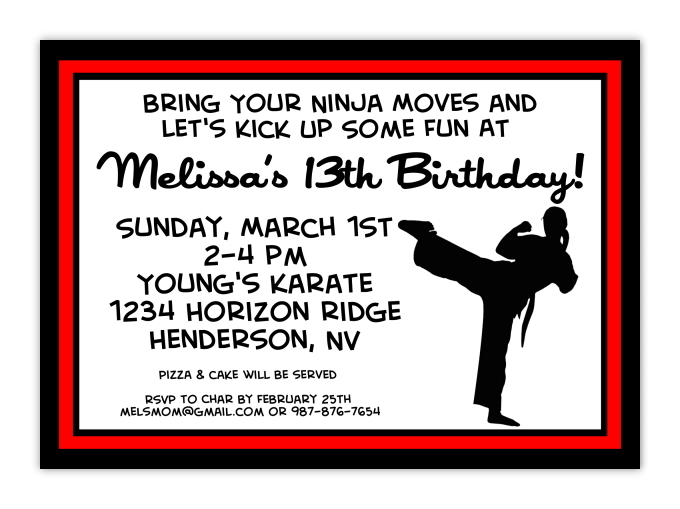 The text shown is just an example - you tell us exactly what you'd like your invitations to say. And you tell us the border color you'd like! Your order is professionally printed on premium 130 lb. glossy paper. Postcards measure 5.47" x 4.21".